I would admit, when it comes to painting the walls, I am not a great fan of white. I love anything that's colorful and bright! But I wouldn't discount the fact that a plain white paint is a way cheaper compared to colored paints and besides, it simple, clean and elegant. 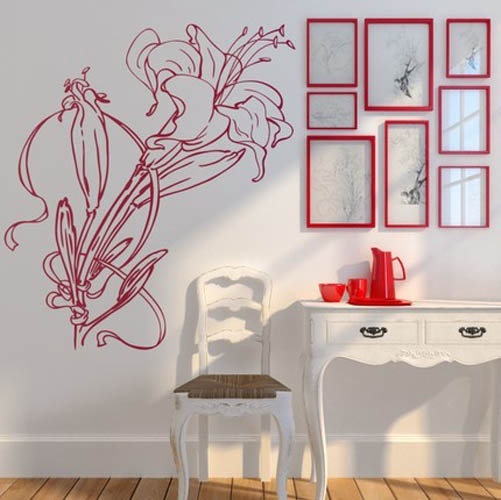 But there are ways to give life to a dull plain white wall. I love these red framed wall art in different sizes. Matched with a simple wall mural, this combination makes the entire wall stand out.